Travel the near and far reaches of the solar system in this lively, beautifully illustrated Smithsonian nonfiction book! Ready for a wondrous celestial journey? How about a trip to our close neighbor Mars, home to the largest volcano in the solar system? Or to Europa, a watery lunar world with a really deep ocean? Or beyond the beyond to mysterious Planet 9, an unseen giant lurking in the far outer regions of space? This extraordinary book puts you right there: breaking through colorful gaseous hazes; exploring the surface of red-hot or ice-cold planets; hurtling through rings of flying, frozen ice chunks; and rocketing on out to deep space. Astronomer David Aguilar is our navigator on these seven wonderful trips through our solar system—journeys that someday may actually happen! The SMITHSONIAN INSTITUTION is the world’s largest museum and research complex. Founded in 1846, it includes nineteen museum and galleries, the National Zoological Park, and nine research facilities. Its vast collections house 138 million artifacts, specimens, and works of art, which represent our nation’s rich heritage, art from across the globe, and the immense diversity of the natural and cultural world. 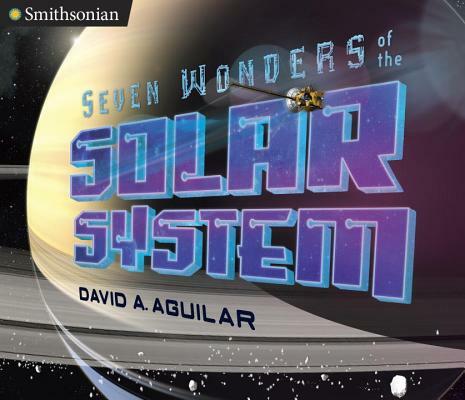 David Aguilar is an astronomer, artist, author of several notable books on space for children, including Cosmic Catastrophes: Seven Ways to Destroy a Planet Like Earth. He is the former Director of Science Information for the Harvard-Smithsonian Center for Astrophysics. As a member of the New Horizons Spacecraft Team, he handled the media coverage of the Pluto fly-by. He lives with his wife outside Aspen Colorado, where he’s built his own observatory. Asteroid 1990 DA was named in his honor by the International Astronomical Union. Read more about the author at davidaguilar.org.